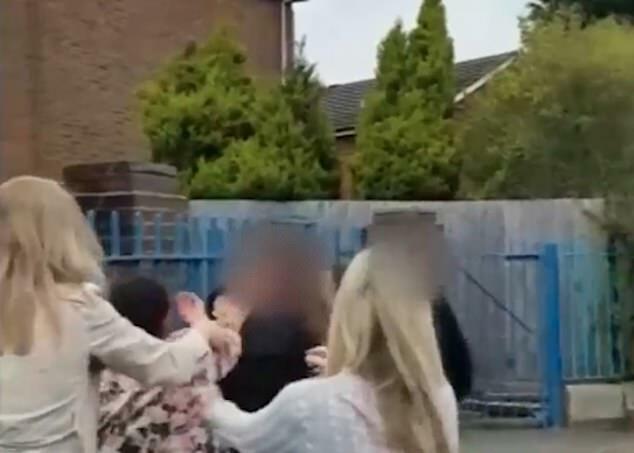 This is the 'frightening' moment a nasty brawl erupted between two women in front of young children outside a primary and nursery school. The women - believed to be parents of children at the school - had to be pried apart by fellow parents and some bystanders said teachers also helped to stop the fight. 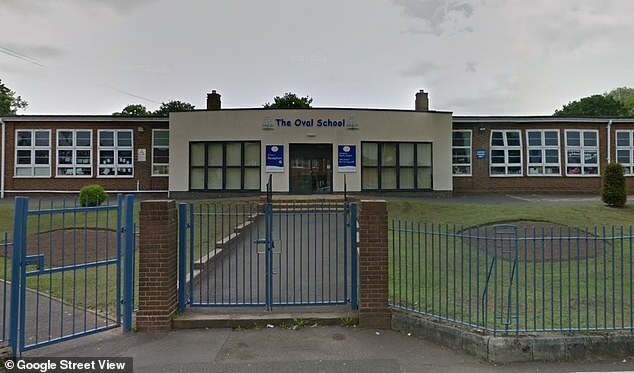 It took place just after 9am right outside the gates of The Oval School in Yardley, Birmingham and police were called but made no arrests. A mother who was dropping her child to school told Birmingham Live that the scene was 'frightening' and that one mother screamed 'Run, run, get in school quick!' to her child. The unnamed mother added: 'Everyone was just standing back and letting them go at each other, they were bashing each other against the gates and pulling hair. Around a dozen bystanders, helped by teachers, eventually split the women up. Another witness told Birmingham Live that one of the mothers had a ciggarette in her mouth and pulled off her coat before the nasty altercation. 'You had children holding hands walking to school with their mums watching it. It's shocking,' they added. The school refused to comment on the matter because it occurred offsite, although it appears that it happened right up against the gates of the establishment. Police confirmed they were called out to the incident at 9:12 am. 'The incident appeared to involve a dispute involving two women and officers were sent to the scene. No arrests have been made,' they said.